Mumbai: India’s No. 2 carrier Kingfisher Airlines on Wednesday sought further cushion from banks to ease its debt burden, but denied it was seeking another debt restructuring. It has also asked banks to take into account the changes in the rupee-dollar exchange rate as well as international fuel prices as they appraise the carrier’s working capital requirements. India’s currency has fallen nearly 11% against the dollar since a late July peak, making imported fuel more expensive. The cash-strapped airline has also sought help from banks to release cash deposited with leasing companies, who give aircraft to Kingfisher on lease against maintenance reserves by providing bank guarantees. Maintenance reserves income comprises non-refundable reserves and is earned based on aircraft usage. Nedungadi said that banks were in “active consideration of these requests and there is absolutely no question of another debt recast." 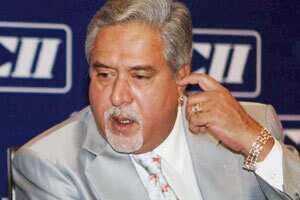 The Economic Times website on Wednesday reported that a second debt restructuring plan by Kingfisher was rejected by banks. Kingfisher, which has never reported a profit since becoming a listed company, cut its debt through a restructuring earlier this year by issuing shares to 14 banks, including State Bank of India and ICICI Bank. It recently recast its business model, doing away with its low-cost service Kingfisher Red. Earlier, Kingfisher’s auditors raised questions about its viability and said it needed capital infusion to survive. Kingfisher shares have lost about 74% from their 52 week high, reached nearly a year ago. At 3.18 pm, shares of Kingfisher, which the market values at $246 million, were down 1.24% at Rs23.8 in a Mumbai market, that was down 0.12%.